Should I Write the Next Marla Mason Novel? 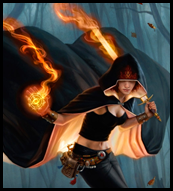 Marla Mason is Pratt's urban sorcerer character who has appeared in four traditionally published novels to date: Blood Engines , Poison Sleep , Dead Reign , and Spell Games . Also, Marla Mason is the main character in Bone Shop, a prequel to the other novels which Pratt serialized and gave away for free (donations accepted, of course) on his web site. Turns out his publisher is not interested in any more Marla Mason novels. Pratt has a great affinity for the character, though, and so on the heels of Bone Shop, Pratt's first serialized Marla Mason novel, he's doing it again, this time with Broken Mirrors. Broken Mirrors will appear online one chapter at a time and run for "20-25 weeks". The first chapter will go up March 8. While you can download the chapters for free, donations are, of course, accepted. In exchange for your contribution, Pratt has a tiered reward system. The more you donate, the more you get (beyond the author's undying appreciation, of course). While I had read the before-mentioned The Strange Adventures of Rangergirl, I had no experience with his Marla Mason novels prior to reading about his plans for Broken Mirrors. Intrigued by the serialization idea, I went out and bought the first Mason novel, Blood Engines (actually, I bought it through my Kindle, so I didn't really go anywhere). So far, so good, and I'm looking forward to watching Broken Mirrors unfold. You can subscribe to the upcoming chapters via the RSS feed on the Broken Mirrors web site.